The Media and Entertainment Collection includes key products such as Maya and 3ds Max in addition to other software. Power meets creativity with Maya 3D animation, modelling, simulation and rendering software. MAYA WAS USED TO CREATE THE DISNEY FILM “THE JUNGLE BOOK,” WHICH BLENDS LIVE ACTION WITH PHOTOREALISTIC CGI ANIMALS AND ENVIRONMENTS. The Jungle Book, image courtesy of MPC ©2016 Disney Enterprises, Inc. The Jungle Book, image courtesy of MPC ©2016 Disney Enterprises, Inc. If you can dream it, you can build it in 3ds Max, the 3D software for modelling, animation and rendering. THE ROLE-PLAYING VIDEO GAME DEUS EX: MANKIND DIVIDED WAS CREATED USING 3DS MAX AND MOTIONBUILDER. Deus Ex: Mankind Divided, image courtesy of Eidos-Montréal. Deus Ex: Mankind Divided, image courtesy of Eidos-Montréal. Whether you staff up with animators, modelers, or visual effects artists, you’ll have the tools they need to create compelling effects, believable 3D characters, and massive digital worlds. Access the industry-standard 3D animation tools used by AAA game makers and top Hollywood studios. With Maya® and 3ds Max®, you have access to proven and established tools, and frequent updates keep you on the cutting edge. Build a powerful 3D animation pipeline for complex simulations, dynamics, effects, and rendering to tackle the most demanding jobs and take your studio to the next level. Never say no to a big project. Download and install what you want, whenever you like – whether it is for occasional use, to meet requirements of a particular project or client, or to explore new workflows. SketchBook drawing and painting software provides designers, architects, and concept artists the tools to sketch ideas quickly and create beautiful illustrations. Available for most platforms and devices. 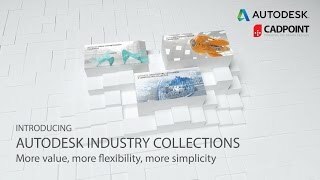 The Autodesk Media and Entertainment Collection is available on a range flexible subscription terms to fit your needs & budget.